Welcome to the January 25, 2019 edition of ACM TechNews, providing timely information for IT professionals three times a week. 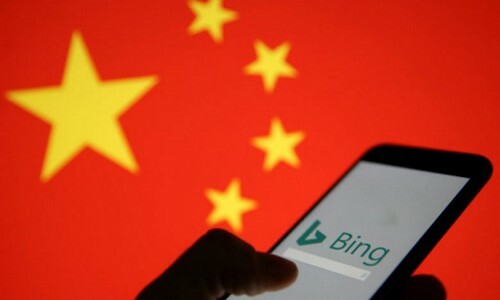 Microsoft president Brad Smith said the company is still looking into why its Bing search engine temporarily went offline in China this week following suggestions that it could have been blocked by government censors. He said at the World Economic Forum in Davos, Switzerland, that Microsoft took its obligations to customers regarding censorship seriously. Said Smith, "I think what is interesting today is technology and sort of human rights, free expression, these issues are really intersecting and on certain days colliding more than in the past. There are deals that we've turned down for things like facial-recognition technology because we felt that people's rights will be put at risk. And I think more than ever, tech companies really need to think about these things, they need to be principled and you have to have a little moral courage...if you're going to be in this business and really take care of your customers." 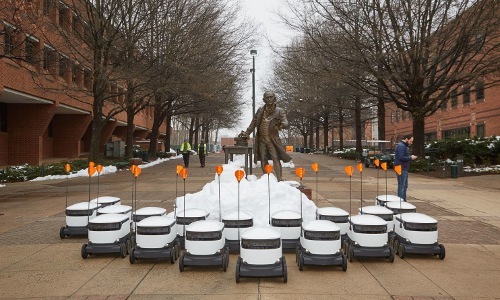 George Mason University students will soon have a fleet of 25 autonomous wheeled robots delivering meals to them across campus. The robots, known as SnackBots, can each carry up to 20 pounds and travel four miles an hour, for an average delivery time of 15 minutes or less; an app from the robots' creator, Estonia-based Starship Technology, lets students order food from local chains like Starbucks, in addition to a grocery store. Once an order is placed, users ‘drop a pin’ on the location where they want their order to be delivered, and they can follow the SnackBot’s progress via an interactive map. 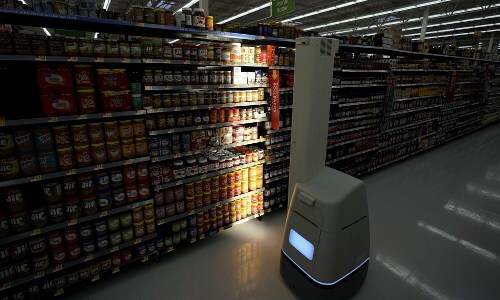 The robots navigate using artificial intelligence, ultrasonic sensors, and multiple cameras; customers are alerted upon arrival, and they can use the Starship app to unlock the robot and collect their purchases. A two-way audio connection allows customers to engage with human teleoperators who can take control of the robot when necessary. A surge in student demand for computer science courses (CS) is outpacing the number of open seats in CS classrooms, partly due to private technology companies harvesting talent that depletes the number of teachers available. At some schools, the shortage is creating an undergraduate divide of computing haves and have-nots, potentially narrowing a path for some minority and female students to the industry. The number of undergraduates majoring in CS more than doubled from 2013 to 2017 to over 106,000, while tenure-track faculty ranks rose about 17%. Some universities now require incoming students to get accepted into CS majors before they arrive on campus, a policy that can favor students from high schools with resources like advanced programming courses. Richard Wicentowski, chairman of Swarthmore College's CS department, suggests universities could treat computer science more like math, with courses that lay the foundation for other majors, such as data science and physics. 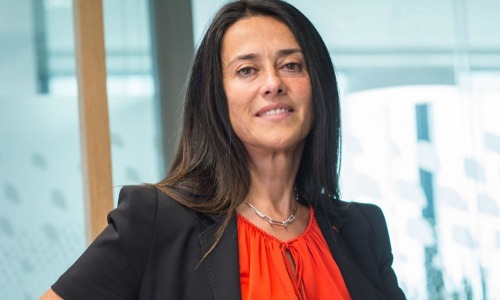 Airbus chief technology officer Grazia Vittadini said the European aerospace firm is soliciting help from outside experts to broaden its quantum computing research. Vittadini will supervise a quantum computing challenge in which academics, startups, and other quantum-science specialists will submit proposals for solving complex flight-physics problems. One part of the challenge involves reducing fuel consumption by optimizing aircraft climb and descent routes; a quantum computer could weigh parameters like weather and tailwinds at every point during a flight to suggest the best course. Other problems competitors will tackle include accelerating wing box design and ways to develop computational fluid-dynamics simulations, which model how air flows around a plane. Said Vittadini, "We'd like this to be the first step for us to engage with experts and enthusiasts in the field...in what we believe will be a quantum era in aerospace." The Brookings Institution has calculated that about 36 million Americans hold jobs with "high exposure" to automation, meaning at least 70% of their tasks could be performed by machines using current technology. Professions most likely to be impacted by automation include food-service jobs like cooks and waiters, short-haul truck drivers, and office clerks. According to Brookings' Mark Muro, this transition could happen in "a few years or...two decades," but it would be hastened by an economic downturn. 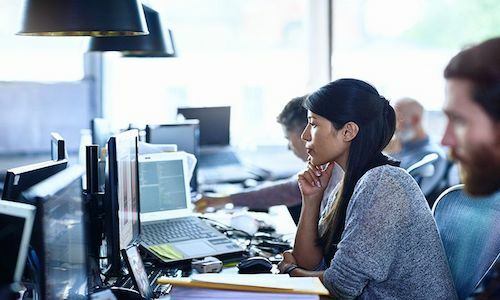 Most U.S. workers are expected to adapt to this shift without losing their jobs, but younger, rural employees likely will be affected most profoundly. The Brookings report predicts the professions least likely to be affected by automation will be those requiring not only higher educational experience, but also interpersonal skills and emotional intelligence. Intel recently open-sourced Nauta, a platform that lets data scientists and developers use Kubernetes and Docker to conduct distributed deep learning (DL) at scale. The software, open-sourced under an Apache 2.0 license, can run on Ubuntu 16.04, Red Hat 7.5, MacOS High Sierra, and Windows 10; it also supports both batch and streaming inference, according to a GitHub report. Nauta is built on the back of Google's Kubeflow tool, and was effectively a "production-ready" version of that tool. Essentially, Nauta is a way of efficiently running online software across a wide range of machines, stitching them together into "a big computer" and letting users oversee machines running on several different cloud services, as well as inside private data centers. Said Intel's Carlos Morales, "With Nauta, users can define and schedule containerized deep learning experiments using Kubernetes on single or multiple worker nodes, and check the status and results of those experiments to further adjust and run additional experiments, or prepare the trained model for deployment." The non-profit Israel Smart Mobility Living Lab (ISMLL) unveiled a shared-data initiative to eliminate road fatalities and serious injuries at the World Economic Forum's annual meeting in Davos, Switzerland this week. By partnering with the Massachusetts Institute of Technology, ISMLL will establish the Smart Mobility Data Trust, a global platform for collecting and sharing smart mobility-related data to facilitate collaborations and joint private-public innovations to improve road safety. ISMLL's Smadar Itzkovich said, "The reason why cities struggle to implement high-tech solutions is because it's very difficult to build contracts with so many startups and private companies. Via our platform, cities can initiate use cases with many players in the game, be exposed to new solutions and receive important data." Itzkovich hopes such collaborations will achieve the "Vision Zero" objective to develop a road traffic system that experiences no fatalities or serious injuries. Apple has partnered with the Royal National Institute of Blind People (RNIB) in the U.K. to expand its Everyone Can Code curriculum to visually impaired students. 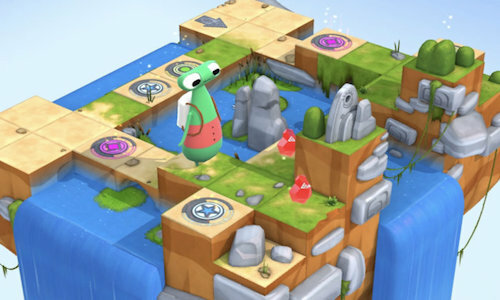 RNIB is supplying Braille versions of the Swift Playgrounds coding education app's graphics, which are used in the coding course. These correspond to the three-dimensional puzzles used to help teach programming basics, enabling vision-impaired learners to understand the puzzles and more easily resolve challenges using Swift. Swift Playgrounds also supports the VoiceOver app to help students via audio cues, but Apple hopes the Braille guides can help more people understand programming. RNIB's David Clarke said the partnership aims to help visually impaired students "to access the same resources and information as their sighted peers and...fulfill their potential in the digital age." 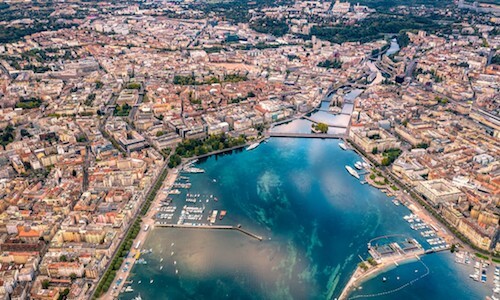 Researchers at the Ecole Polytechnique Federale de Lausanne (EPFL) in Switzerland have developed a Web-based urban planning software program. Users enter various objectives they want to achieve—like built density, quality of life, cost, and use of renewable energy—and the SAGESSE system generates the best possible variants for the city. The program can help city officials make better decisions, especially in terms of promoting sustainable development. SAGESSE, available as a Web app, generates simple diagrams depicting the variants as horizontal lines plotted against vertical axes, where each axis is an urban development project; these diagrams could reveal which variants do not comply with renewable-energy-use regulations. In this way, urban planners can adjust their targets and objectives and eventually find an acceptable variant. Japan's prime minister Shinzo Abe wants 40% of payments in that country to be cashless by 2025; in August, the Japanese government announced plans to offer tax breaks and subsidies for companies that embrace cashless systems. Methods like credit card payments and quick response codes would qualify under Abe's cashless plan, but some of Japan's financial leaders think the way to move Japan away from cash is through blockchain. 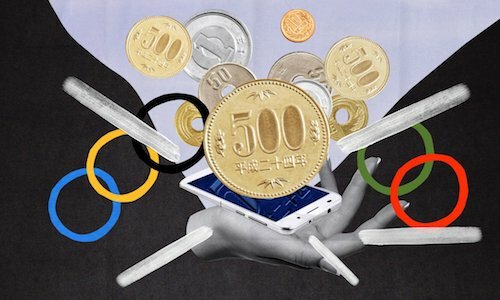 Researchers from Mitsubishi UFJ Financial Group (Japan’s largest bank) and Akamai are working to build a blockchain-based consumer payment network before the 2020 Summer Olympics. In testing, the researchers claimed their system can handle more than 1 million transactions per second, with each transaction confirmed in two seconds or less; eventually, they said, it could eventually achieve 10 million transactions per second. The U.S. National Science Foundation's annual census has determined that male scientists who obtained doctorates in 2017 and have jobs in the wings expect to earn $88,000 annually on average, versus $70,000 for women. This disparity can be explained mainly by a disproportionate number of men in higher-paying fields like mathematics and computer science; men comprised about 75% of doctoral degrees in those fields and are expected to earn $113,000 annually on average, compared with $99,000 for women. Fields commanding less pay, like engineering, reflected more equitable wage levels. Meanwhile, only about 61% of doctoral recipients had jobs lined up, versus 72% in 2007. The University of Washington in Seattle's Denise Wilson said the gender gap is shrinking as women in software and app development careers prosper, while the sluggishness of parity in other disciplines is partly due to women's sense of isolation and lack of support in male-dominated fields. An artificial intelligence (AI) agent has successfully beaten two top-ranked human players in 10 out of 11 matches of the computer game StarCraft II, using strategies seldom encountered before. 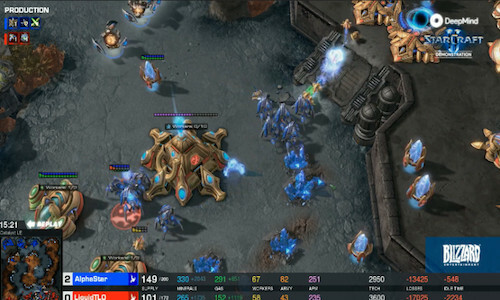 DeepMind's AlphaStar AI was trained to learn by emulating human players from previously recorded matches. 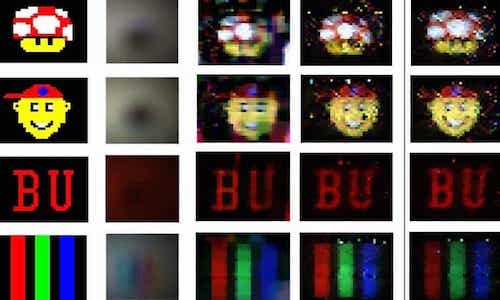 Afterwards, DeepMind had AlphaStar play itself in a league of players derived from the original AI. This enabled AlphaStar to try out and refine new tactics through trial and error, and let each agent specialize in certain strategies; subsequently, each match pitting human players against AlphaStar tended to vary substantially. On average, AlphaStar only had to perform 280 actions per minute to win the matches, while two human players executed an average 390 and 678 actions per minute, respectively.